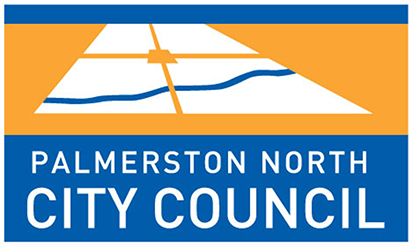 Palmerston North is New Zealand's seventh largest city. It is the regional capital of the Manawatu-Whanganui region where the City Council provides services to almost 90,000 residents. The Council employs approximately 600 staff and is currently experiencing growth in all sectors of the city. There is both ambition and a clear strategy to make Palmerston North a more vibrant, innovative and prosperous city. Reporting to PNCC’s General Manager Marketing and Communications, the Head of Communications and Content will lead the direction, development and implementation of Council’s comprehensive internal, external and governance communications. A big part of the role will be the identification of opportunities to reinforce the key messaging around Councils vision - Small City Benefits, Big City Ambition – and will do this through ensuring delivery of quality content through Council’s owned, paid and earned media channels. Critical to this work is a cultural shift in the way communications are perceived: this position will lead the change between what Council has done and what it needs to do in this space. Preferred candidates will have substantial experience in leading a communications function in a complex organisation (though not necessarily within the local government sector). A proven ability to think strategically, and deliver in line with strategic plans, will be important for success in the role. As a subject matter expert in comms and content, being able to express complex issues so they can be easily understood by the public, stakeholders and staff, will ensure success in this function, as will a high level of political acuity and an open collaborative style. For those seeking a compelling professional challenge in a vibrant local government setting, this role represents and exciting next career step. To apply in strict confidence now, please complete the ‘apply for this job’ application form, attaching your cover letter and CV. Applications close on 28th April 2019. Emails will be electronically acknowledged, and further correspondence may be by email. For more information please phone Nicholas Buck on +64 27 474 5366.